Designed by custom knifemaker and former Alaskan guide Russ Kommer, the CRKT production 30-30 knife looks good from every angle. The classic drop point skinning blade has a high hollow grind and Razor-Sharp edge to make fast work of the largest animals. 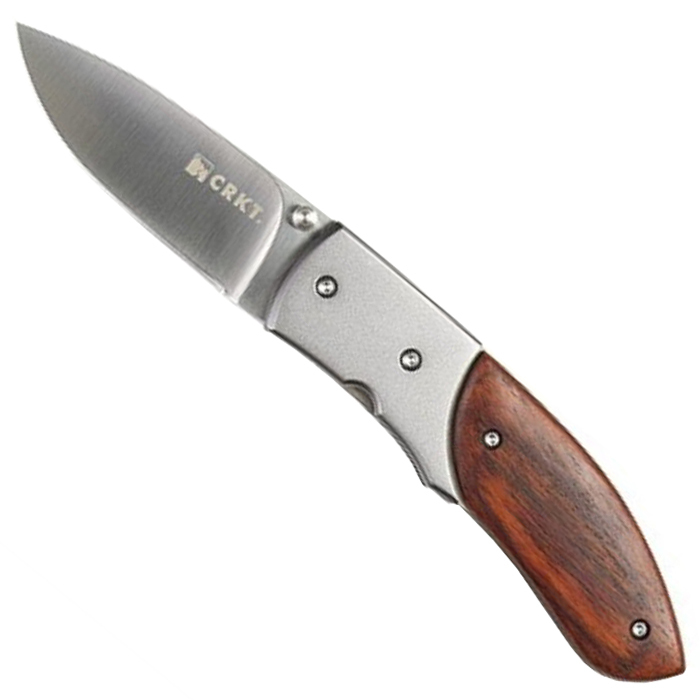 CRKT used 1.4116 stainless steel for its combination of edge-holding ability and toughness. The blade is mirror polished to resist corrosion. A ramped thumb stud and Teflon bushings at the blade pivot allow easy one-hand opening. The CRKT InterFrame build uses two stainless steel liners, one locking, topped by stainless steel bolsters and hand-finished wooden cocobolo scales. Russ knows that cleaning is an issue with all hunting folders, so he went to great steps to avoid dirt-holding nooks and crannies. For example, the pivot screw is shielded behind the bolsters. The liners and bolster are polished. And the stainless steel back spacer is smoothly contoured inside and out. Finally, there is no clip to catch debris. 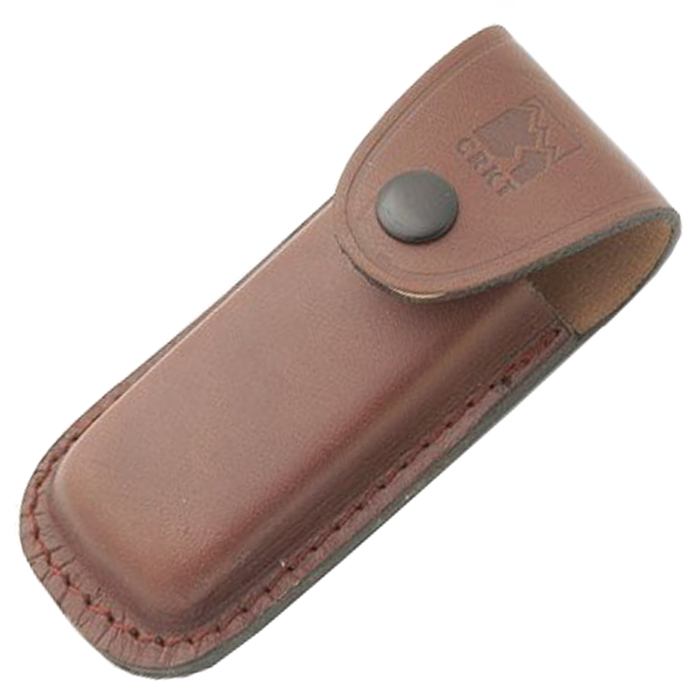 Instead, CRKT has included a custom contoured leather sheath with a belt loop and snap-down flap to completely protect the knife when it is not in use.